Murder, attempted murder, sexual abuse, kidnapping, missing persons, vengeance, revenge, suicide, gambling, explosions, vehicular mishaps, indignity to a dead body, even love occur in these thirteen stories. 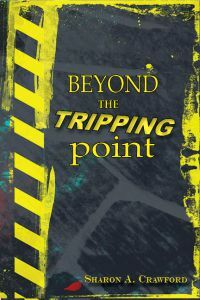 Like all life’s happenings, they affect the characters–women, men and children–in their journey through life, sometimes damaging them, sometimes stalling them in limbo, but often forcing them to reach beyond the tripping point. And to get there, these quirky characters frequently do the absurd and the unthinkable, often with unexpected results. The detectives are frenetic, the villains are diabolic, the situations bounce from hilarious to macabre, and the pace is always unrelenting in this collection by a master crafter of the genre.